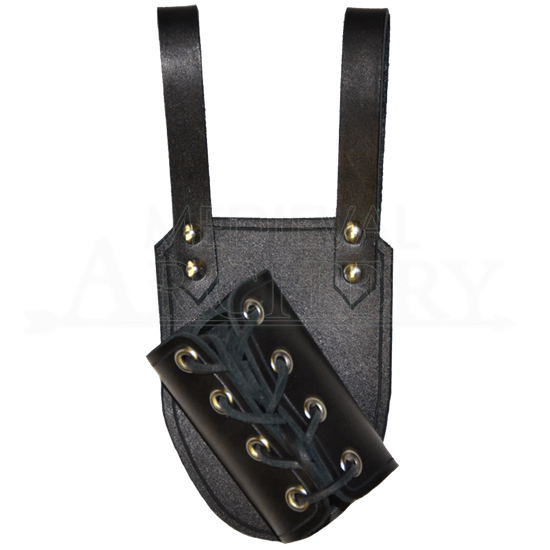 This Large Sword Frog is designed to hang from your waist belt and will securely hold your sword in place. When the frog is fully laced up, the opening measures 2.5 inches across. 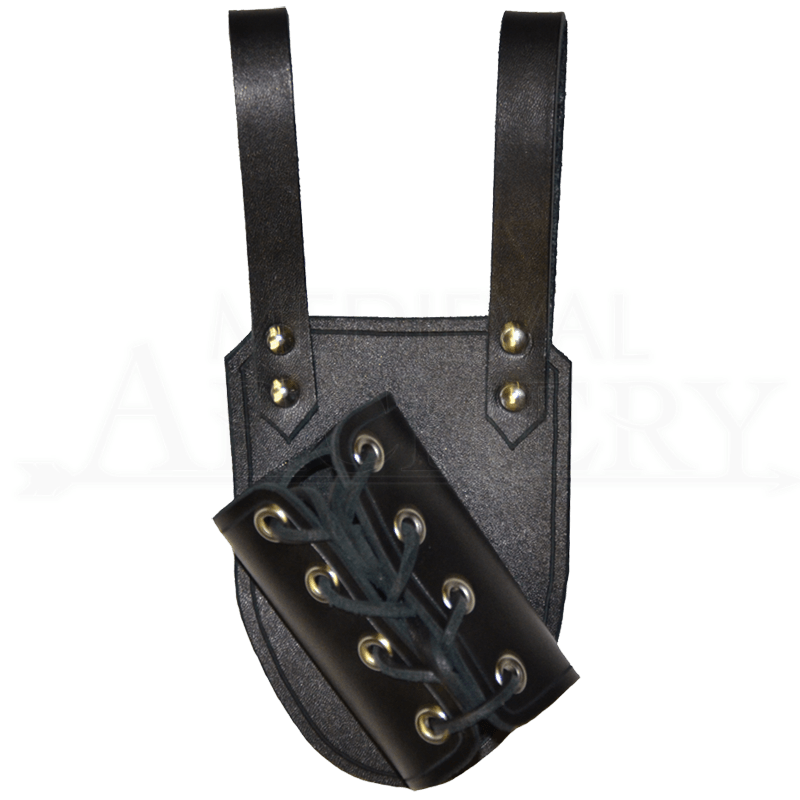 This is perfect for LARP Weapons or larger swords. Please specify if you would like to have the frog in a left or right hand draw or straight up and down. Right handed frog gives a frog that hangs on your left side, allowing you to draw your sword with your right hand. The left handed frog hangs on the right side, so you can draw your sword with your left. It is available in black with steel hardware or brown with brass hardware.